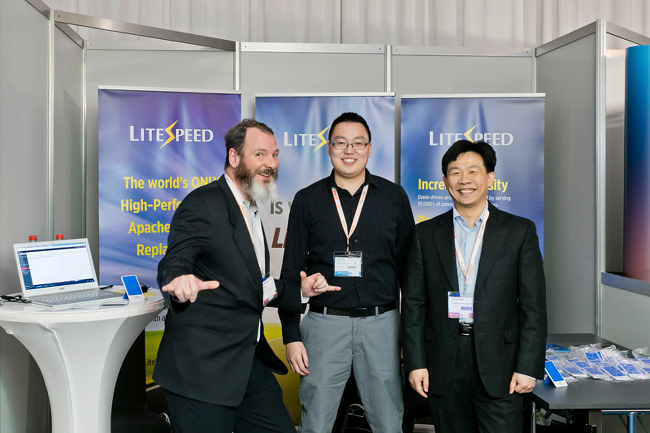 For LiteSpeed, WHD brought with it many things: new sights, new tastes, new faces, and new developments. 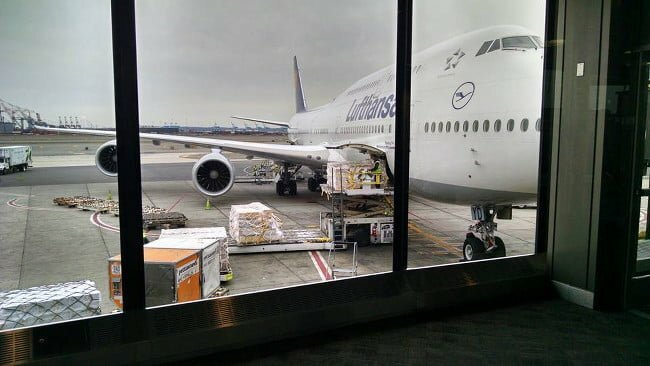 Our plane touched down in Germany around 10AM on March 13th. As we stepped out, it was quite jarring to hear German spoken over the loudspeakers, but we quickly adjusted. After going through customs we were reintroduced to the German transportation system. While a bit confusing at first, is beautifully efficient once you figure it out. The train ride to Offenburg was like traveling between two different worlds. The cities were like what you would see in America today, but the rural areas and farmlands were like a scene from a time long ago. Even the architecture was vastly different to anything you’d see in the States. The WHD guys definitely did a good job in creating a productive atmosphere for the conference. Hosting the event at an amusement park in the middle of nowhere during the off season helps promote a niche conference where the only thing to do is talk business. 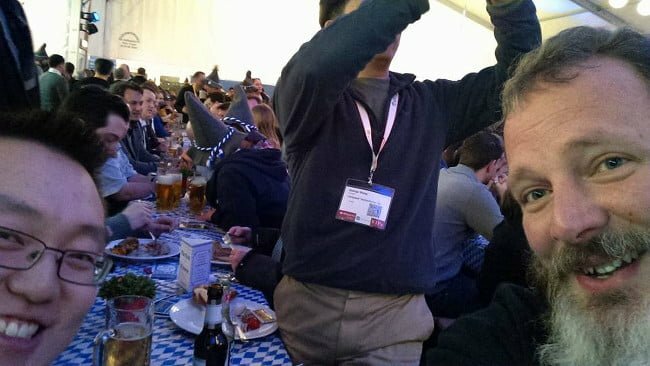 Bierfest also helps in this regard, being an event where everyone just enjoys each others’ company. The conference itself was the same as last year but a bit more wild. One of the best parts of WHD is getting to meet with partners with whom you normally can’t due to location. We had people from all over Europe stop by our booth. It really helps to put a face to a name, but it also gives us an opportunity to discuss things in person. 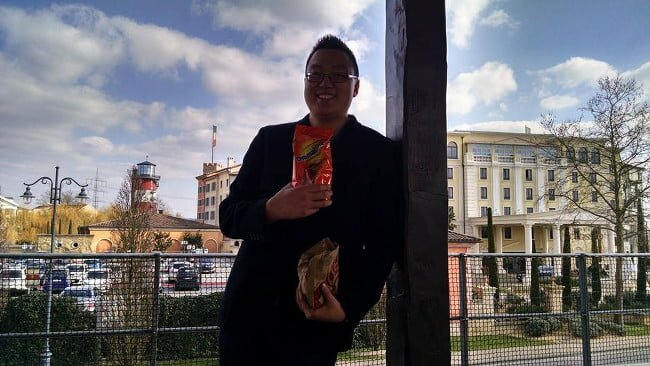 George, our Company President and Lead Developer, was pulled aside at least a couple times to discuss possible problems and how to fix them. During one particular incident, a fellow from Plesk stopped by because of an issue with our plugin integration. He and George were able to talk in person. George was able to see the issue using our demo machine and before the end of the next day he was able to determine what the issue was and practically ran off to find the man to describe the solution. Problem solved. Another nice result of meetings like these is collaboration. Thanks to several such meetings, steps have been taken towards several future developments. Among them: a guest blog post for BitNinja on DDoS, a LiteSpeed Docker container with Jelastic, a shared booth with CMS-Garden, and a closer relationship with cPanel. We will have to wait to see in what order these developments will take place, but we’ll do our best to keep you in the loop as things happen. 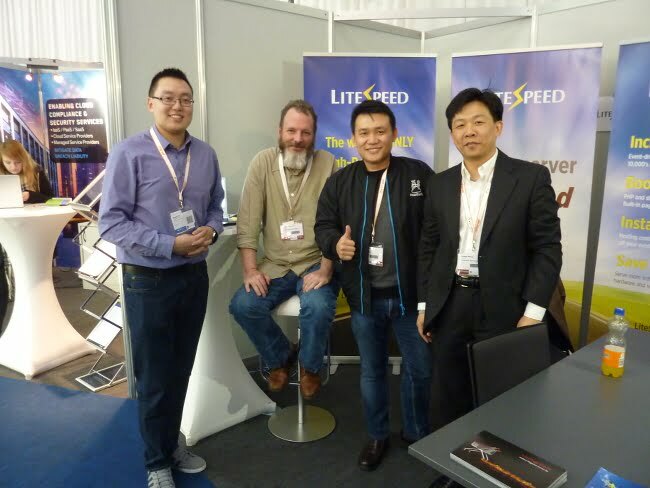 Our longest-standing LiteSpeed customer of over 10 years: Edy Budiman from dewaweb! Will Harrison of Hosting Ireland, Cristian Mitrache of Host.ag, Marcel Prisi of Virtua, Michal Kwiatkowski of Beyond.pl, Grzegorz Piszczek from nazwa.pl, Simon Funk from treestones.ch, Michael Brunner from novatrend.ch, and the guys from HostingVision. Eric Ellis and Aaron Phillips of cPanel, Sergey Lystsev and Vladimir Likhtanskiy from Plesk. David Jardin of CMS Garden, Dmitry Garaschuk of Jelastic, and the guys from BitNinja. 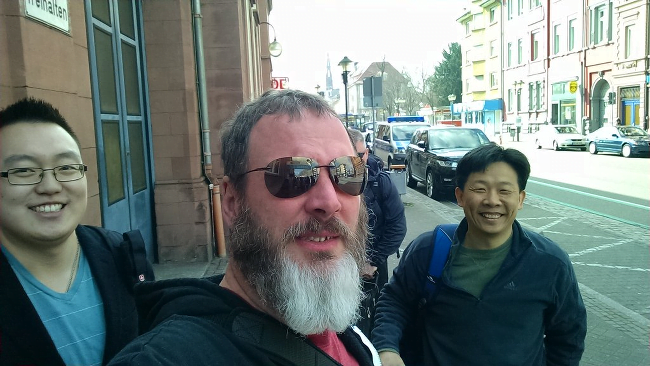 That about wraps up our trip to Germany and WHD, if we missed you and you have a LiteSpeed story or pictures from WHD, let us know by sharing them in the comments below! Greetings from Andrei & Flaviu from Hostvision! We had a great time @ WHD guys! We had an awesome time as well! Make sure to bring some Slalina next time! (Need to make sure it’s able to pass customs).